Pat is a licensed clinical social worker and founding partner at the Temenos Center. She received her Clinical Social Work degree from Bryn Mawr College in 1994. 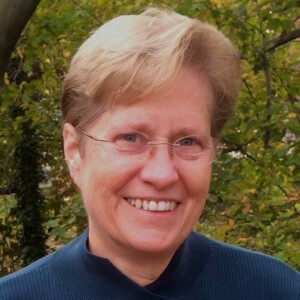 From 1994 through 2004, Pat was on staff at The Renfrew Center in Philadelphia as a therapist, supervisor, program director and assistant clinical director. During her employment at Renfrew, she offered several family therapy training workshops for staff. Prior to her career as social worker, Pat was a professional illustrator and graphic designer for almost 20 years. She was on the faculty at Moore College of Art in Philadelphia from 1995 until 2002, where she taught illustration. Pat’s training and experience as an artist is embodied in her approach to therapy, inviting her clients to think more metaphorically and creatively about their issues and possible solutions. Pat’s clinical experience includes individual, family and group psychotherapy. She specializes in the treatment of eating disorders, as well as relationship and family issues. She has worked extensively with gay/lesbian individuals, couples and families and she believes in offering all clients a safe and accepting climate for exploration and healing. Her approach to therapy is relational in nature and she is particularly adept at helping the individual to explore and understand the context of the family and society within which they live. Pat has extensive training in eating disorders and family therapy. She is currently in ongoing training and supervision in Object Relations theory and therapy. Pat is also trained in EMDR (Eye Movement Desensitization and Reprocessing), which assists clients in resolving painful and/or traumatic life experiences. In addition to her work at Temenos, Pat maintains an office at 8200 Flourtown Avenue, Suite 1A, Wyndmoor, PA 19038.